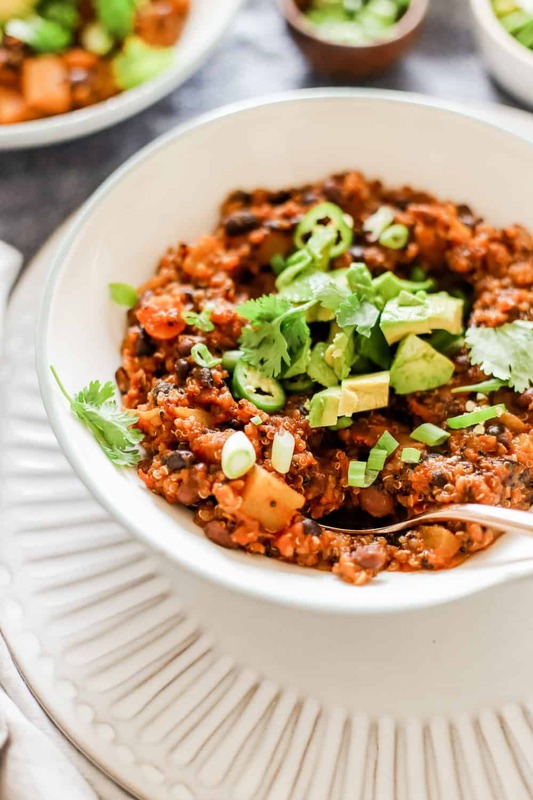 A hearty and healthy recipe for plant based butternut squash quinoa chili! 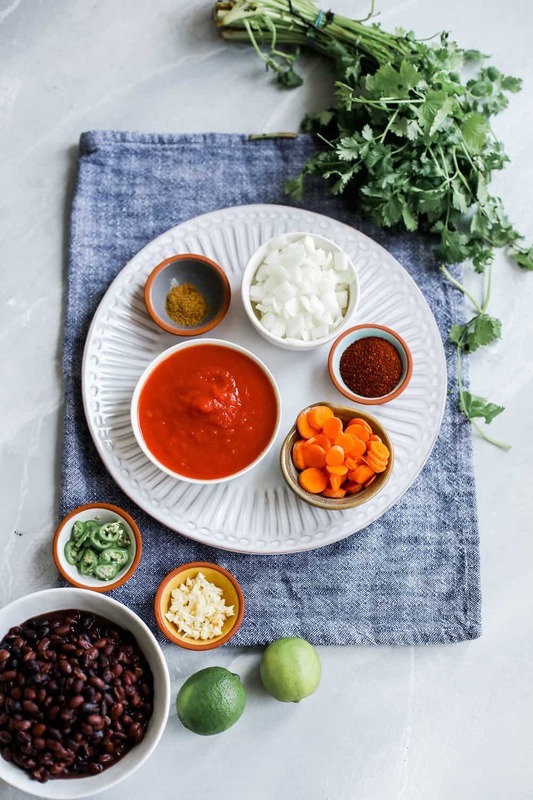 I love making a big batch of this chili recipe for ‘Meatless Monday’ to restart from the weekend! Hi hi! We are headed far into cozy season over here! We plan to pick out our Christmas tree next weekend and officially Christmafy our house out. Sundays are now saved for lazy days at home, watching football, catching up with family and just generally getting life in order for the week. I kind of love it. 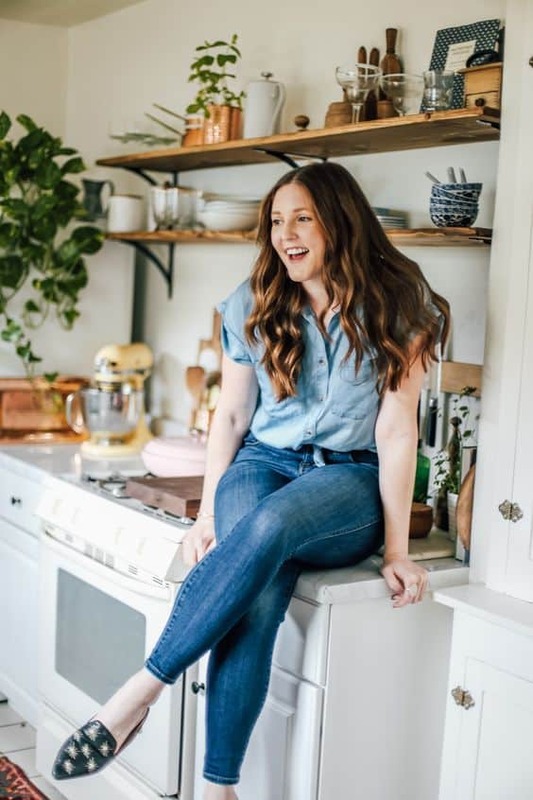 The last few weeks have been crazy between traveling to TN for the Saveur blog awards and turning around quick for another Purely Elizabeth photo shoot in Colorao! It’s enough to make a girl a little loopy. I love traveling but I always find such a hard time getting back into the swing of things once I come back. Especially when it comes to getting a healthy meal together! During the week, Jared and I really try and keep our home menus somewhat healthy! 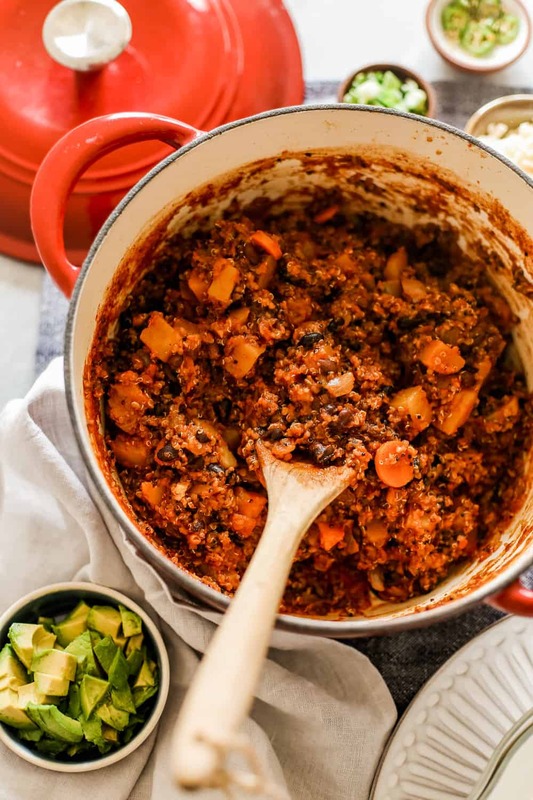 We both love a good one-pot-wonder that we can make on Monday’s and have leftovers for the week. Anytime that I can turn the start of the week into a ‘Meatless Monday’ I totally do! Meatless Monday and healthier batches of soup always help me restart from the weekend. This type of meal is honestly my best attempt at ‘meal prep’! I have never been a meal prepper but making a big pot of healthy soup or stew sometimes saves us during busy weeks. We both have a soft spot for chili! I love that no matter what you put into chili it will always tastes like chili! You know what I mean?! 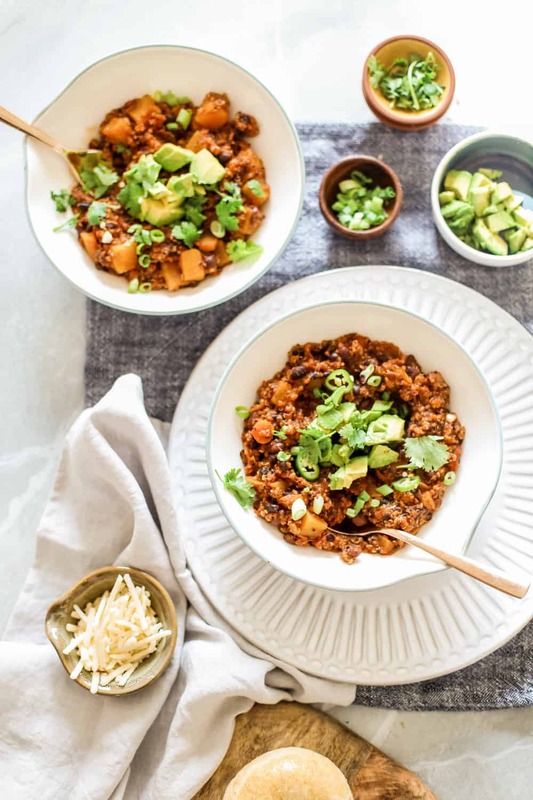 Even if you sub out the meat for extra veggies or go with a green or red base flavor, it still tastes like cozy, delicious chili! All of the flavors and spices come together for a rich, yet healthy meal in this case! I’m swapping out traditional ground beef for hearty quinoa and adding in fresh vegetables like butternut squash (my fav! ), bell peppers and more! 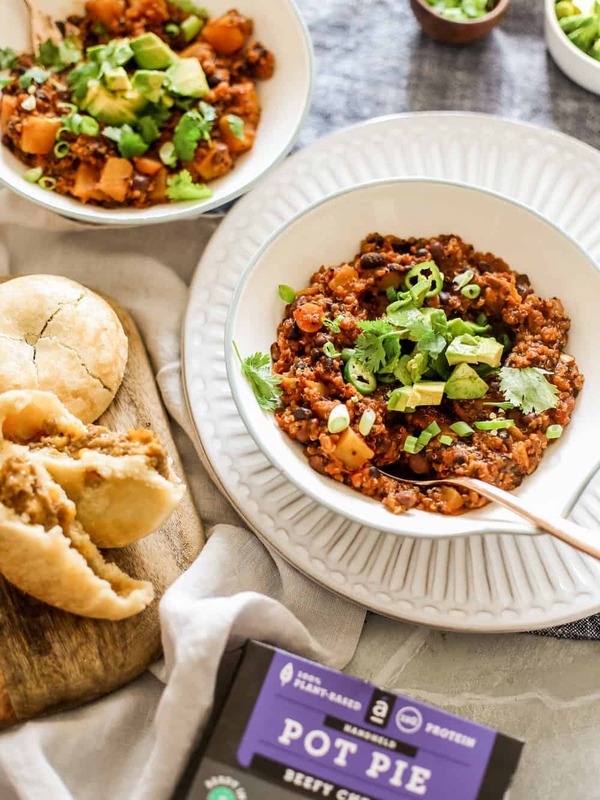 One of my favorite ways to complete an easy meal like this plant based butternut squash chili is to pair each bowl with an Alpha Foods Plant Based Handheld Beefy Cheddar Pot Pie! They are so savory and cozy and make the most perfect dipper for chili! 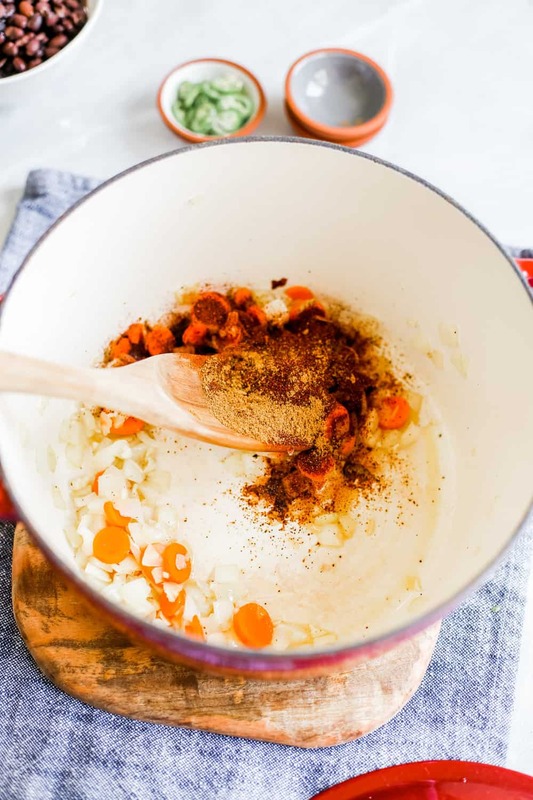 We love these little pot pies because they act as ‘cornbread’ for our chili without having to make a whole batch! You can find the Handheld Pot Pies (in six different flavors!) by using this handy dandy store locator HERE! In a large dutch oven heat olive oil on medium heat until oil will spread across the pan (1-2 mins). Add in onions, carrots and bell pepper and cook for 8-10 minutes or until transluscent. Add in butternut squash cubes and sauté for another 3-4 minutes. 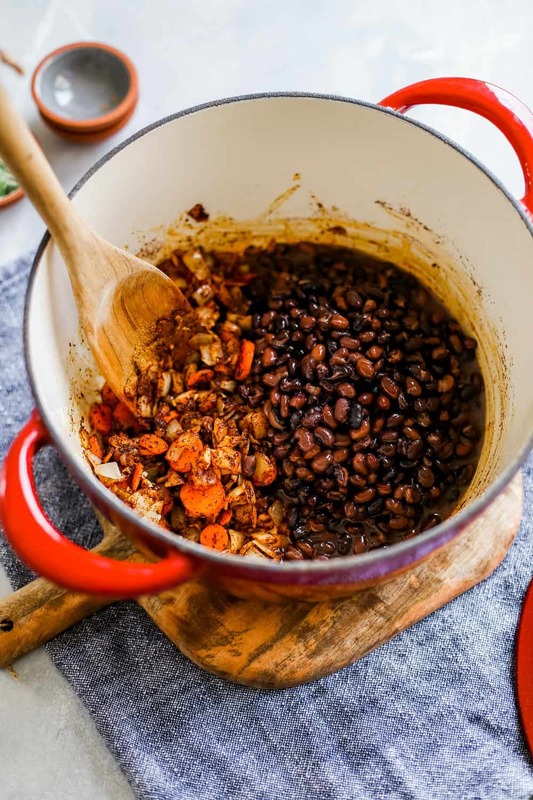 Drain beans from their can liquids and add into onion and bell pepper mixture. Add in fire roasted tomatoes and all juices from can to pot. Stir mixture together well and add in minced jalapeno, minced garlic, chili powder, ground cumin, smoked paprika, onion powder, dried oregano, kosher salt, bay leaf and water. 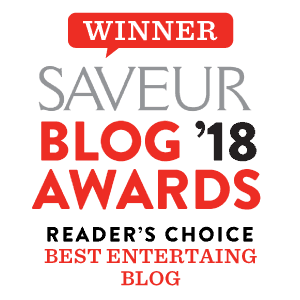 Next Post Holiday Gift Guide for ‘Him’ 2018!